Are you an Amazon shopper? 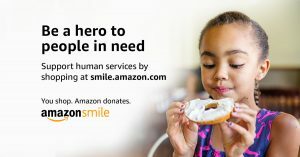 When you START WITH A SMILE , Amazon will donate a portion of the sale to Ozarks Area Community Action Corporation and you make a difference in the lives of children, teens, adults, seniors, and communities. This applies to all the great items you can find on Amazon. Thank you!